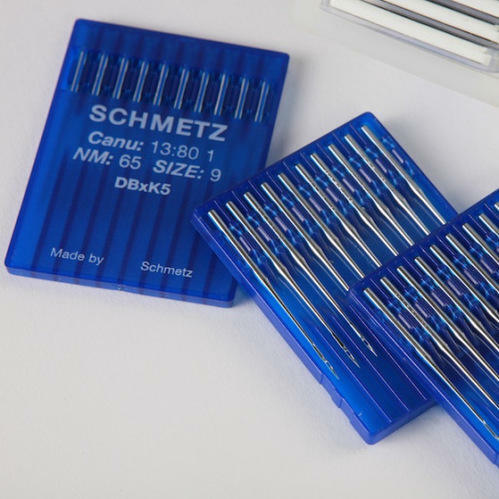 All machine Schmetz needles are available. Embroidery and special kind of needles also available. With our adroit team of professionals, we are actively engaged in Retailing and Supplying a vast gamut of Garments Machinery Spares and Allied Products that includes Tag Pin and Loop Pin, Straight Knives, Silicone Spray, Rust Guard and Scissors and Round Knife Cutter. These are fabricated using premium grade basic material obtained from the certified vendors of the market and cutting edge technology in compliance with the defined quality standards. We have a wide dealership with highly popular companies, such as Strong H, Emel, Revo and Ranew, who are Tamil Nadu state level dealers. Owing to features like flawless quality, unmatched performance, longer life and cost efficiency, our products are highly famous in the market. Further, our state-of-the-art manufacturing unit helps us to fabricate products that suit the requirements of our clients. Our highly experienced professionals assist us to meet the customized requirements of our clients in a timely and efficient manner. Besides, we also offer our entire range at the most affordable prices to our esteemed clients.